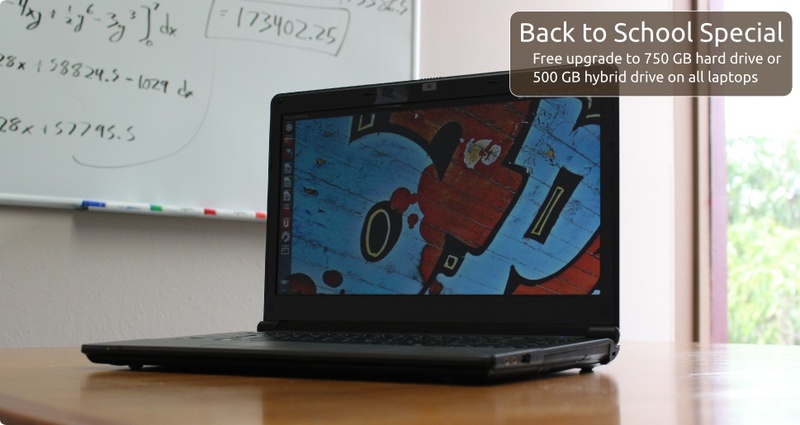 Popular Ubuntu computer company System76 has just some out with a new deal for people looking for a good deal on a computer when going back to school. If you are looking into their laptops, then you are in luck. Right now they are offering a FREE upgrade to a 500GB 7200 RPM Hybrid Drive (with 4 GB SSD), OR a free upgrade to the 750 GB 7200 RPM hard drive. For now, I do not know how long this is going to last, but I suggest you jump in on this if you can.